The Department of Education implemented changes to make the FAFSA application process easier and more efficient, thus allowing for earlier availability of important financial eligibility information. Submit a FAFSA earlier: Students will be able to file a 2017-18 FAFSA beginning October 1, 2016 (rather than beginning on January 1, 2017). 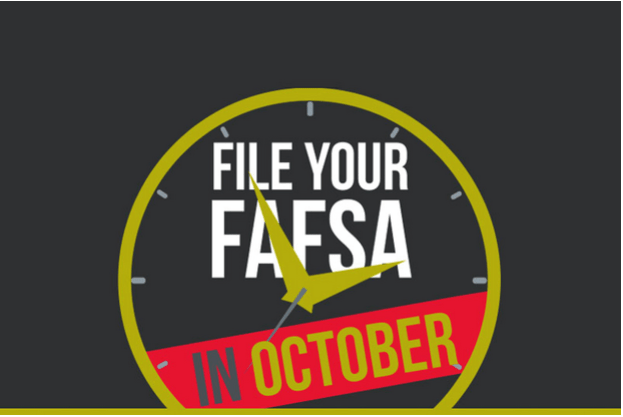 The earlier filing date will be a permanent change, thus allowing students to complete and submit a FAFSA as early as October 1 every year. Use earlier income information: Beginning with the 2017-18 FAFSA, students will report income information from an earlier tax year. For example, on the 2017-18 FAFSA, students (and parents, as appropriate) will report their 2015 income information (rather than their 2016 income information). This entry was posted in FAFSA Process, General Information. Bookmark the permalink. Post a comment or leave a trackback: Trackback URL.